Since 2012, this is undoubtedly the biggest story in Croydon, and is likely to be so for years to come. 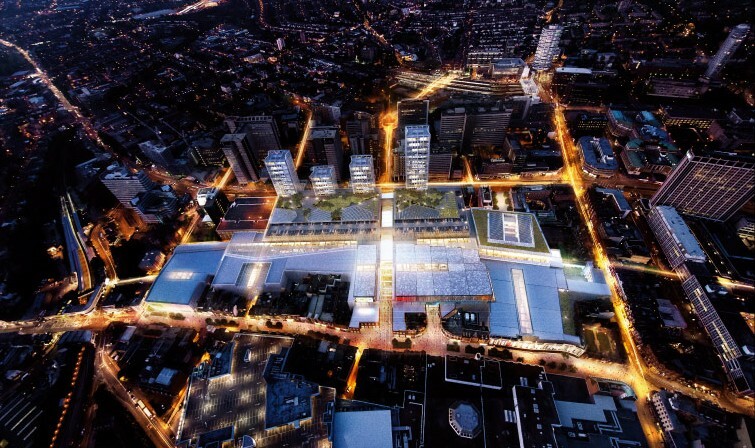 From the Mexican stand-off between rival developers Westfield and Hammerson – or Hammersfield – to the intervention of London Mayor Boris Johnson, this initially £1billion redevelopment of the down-at-heel Whitgift Centre and its unification with Centrale has come with promises of it being a “game changer” for our town. The original offer involved 2 million square feet of new shop space, 600 homes and “destination” leisure facilities, making it the largest scheme of its kind in the country once completed. But when announced, it came with a 2017 target date for completion and promising 5,000 jobs (though without any details of what sort of jobs these might be, whether they are full-time posts, all in retail, or mainly replacing the low-skilled, low-paid jobs currently provided within the Whitgift Centre). By 2016, and not a single brick had been laid. And that was before the outcome of the EU Referendum. Will Hammersfield ever deliver, or could Croydon suffer the fate of Bradford, with developer blight for a decade or more? Is it a matter of the Emperor’s New Clothes? Delayed planning submissions, Compulsory Purchase Orders and the inquiry, the 2014 local elections all had to be negotiated first. The centre’s current traders, and those who are eking out an existence in Surrey Street or on London Road, will also have to be considered. The traffic model had not been completed by late November 2013, when planning permission was granted by Croydon Council, which together with Transport for London has agreed to fund more £44 million of major road “improvements”, while Hammersfield pitches in with just £33 million under Section 106 planning benefits. Inside Croydon’s latest news and analysis of the “Hammersfield” development can be found by clicking here.